Independent & Group Bolivia Tours Packages in 2019/2020 from Travelbag. Historic, intriguing and devastatingly beautiful, Bolivia is a powerfully enchanting country. Boasting cities located high up in the clouds, glassy lakes that shimmer under a sunny spotlight and salt flats that blur the confluence of land and sky, Bolivia is cultural, contrasting and captivating. 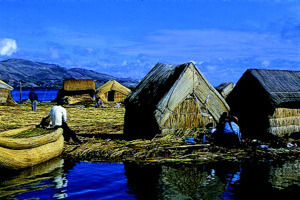 A landlocked nation, hemmed in by borders to Brazil, Paraguay, Peru, Chile and Argentina, Bolivia plays host to some of the world’s most dramatic and diverse scenery, from the highlands of the Andean mountains, to the shimmering waters of Lake Titicaca, to the barren salt flats of Salar de Uyuni. 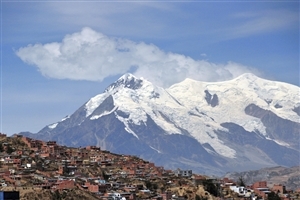 Such diversity makes Bolivia a fascinating choice for a Travelbag tour as you climb to La Paz, the world’s highest capital city, make acquaintance with a largely indigenous population that still abides to age-old traditions and gaze out across a landscape that, in places, looks to belong on another planet. Indulge in Bolivia’s unique credentials, which include exploring the high altitude La Paz, a sprawling city that clings onto mountainsides at an elevation of more than 12,000ft, gazing at stars that glimmer brighter than ever against the undisturbed skies over Lake Titicaca and watching the horizon blur against the blank white flats of Salar de Uyuni. Rich in culture, a Bolivia tour with Travelbag gives you the chance to experience everything this bewitching country has to offer. Step into land like no other, where cities look over the rest of the world and moon-like scenery wraps over mountains. For a South America holiday with a difference, choose a tour to Bolivia. From the winding streets of the city of La Paz, to the arid, remote landscape of the Uyuni Salt Flats, experience the cultural lands of Bolivia as you uncover wonder after wonder, filled with a combination of both Indian and Spanish history. Be transported to another world with a dream Bolivia tour, where picturesque cities, beautiful lakes and blinding salt flats are waiting to be discovered, explored and embraced. Get into the heart of Bolivia’s mystical land by sharing an evening with its indigenous people on a floating island in Lake Titicaca, staying in a hotel made entirely of salt in Uyuni and allowing the lofty high altitude cities of La Paz and Sucre to – literally – take your breath away. Travelbag offers an excellent range of comprehensive Bolivia tours that will exceed your expectations, whether you want the freedom of an independent or self-drive tour, the benefits of an escorted tour led by our team of passionate guides or the romance and intimacy of a small group tour with no more than sixteen people. For more information about Travelbag’s excellent range of Bolivia tours, call 0203 944 2201 to chat with one of our knowledgeable travel experts about creating the perfect Bolivia holiday for you.